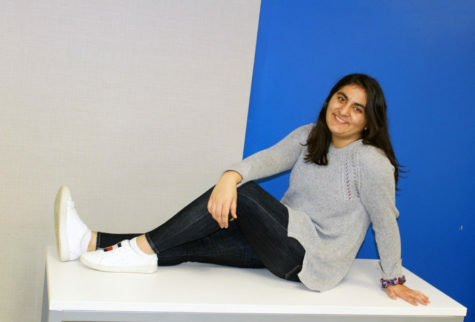 It would be an understatement to say that junior Zahra Khan is a woman on a mission. After a relaxing summer filled with playing with her dog and traveling far and wide, Khan is ready to jump back into the school year full force. Khan is a creative spirit through and through, having a deep passion for music, reading, photography and even creating an Instagram account to share her current reads. “There’s book for everything and the feeling of cuddling up with the perfect book on a rainy day is the best feeling ever,” Khan said. When she’s not lost in a story, Khan spends lots of time with her family, and her dog, Rex. Family has always been very important to Khan, and it’s something she couldn’t see herself living without. Between family, friends, and commitments at school, Khan has a pretty full plate but she’s working hard to balance it all out, which can be difficult to find. Thankfully, it’s all steps to achieve the well-rounded and fun life that Khan has.